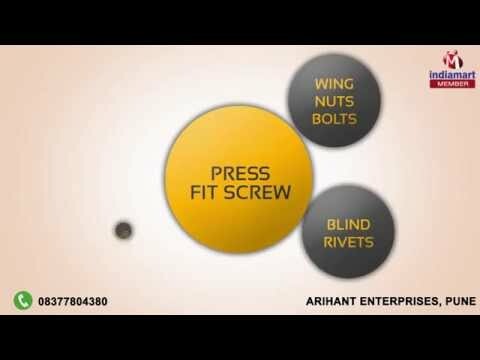 Welcome to Arihant Enterprises, established in the year 2004, we are a prominent manufacturer, distributor and supplier of Industrial Tools & Fastners. We specializes in the manufacturing of a wide range of Stainless Steel Fasteners, Self Clinching Fasteners and Blind Rivet. owing to their precise design and optimum quality we achieve wide appreciation from all the sectors of the industry. The products that we design are made from the high-grade raw materials that are being procured to us from our established vendors of the market. Our manufacturing unit is well-equipped with all the latest advancements of technology. Installation of the modern machinery and tools has been the credentials of our quality standards. We provide customized solutions in our products as per the clients specifications. We use an avid range of sophisticated machinery in our manufacturing units such as the automatic header machine, lathe machine, grinders, drilling machine, tapping machine. Since we are in operation, we are able to provide our range of products in various metal finishes such as steel, stainless steel, brass to meet the requirements of various sectors of the industry.